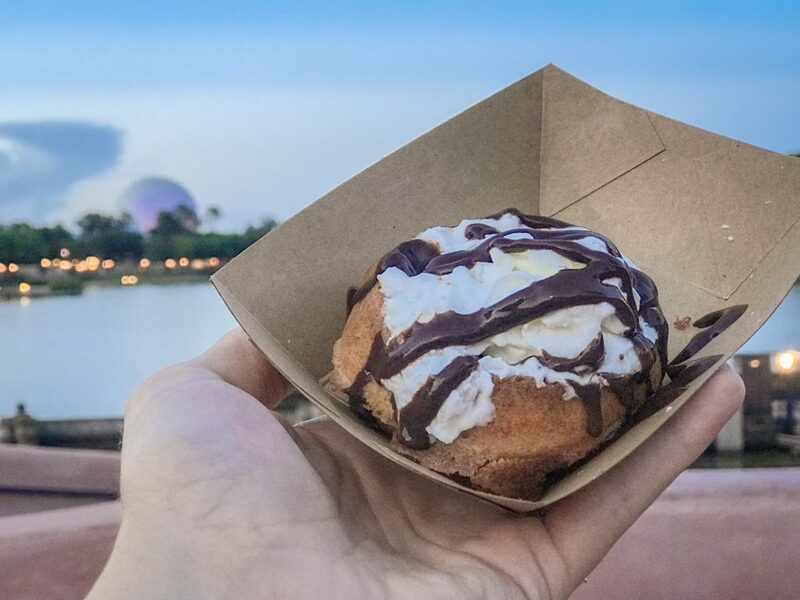 The Epcot Food & Wine Festival is not just for adults. There’s lots of fun for the whole family! 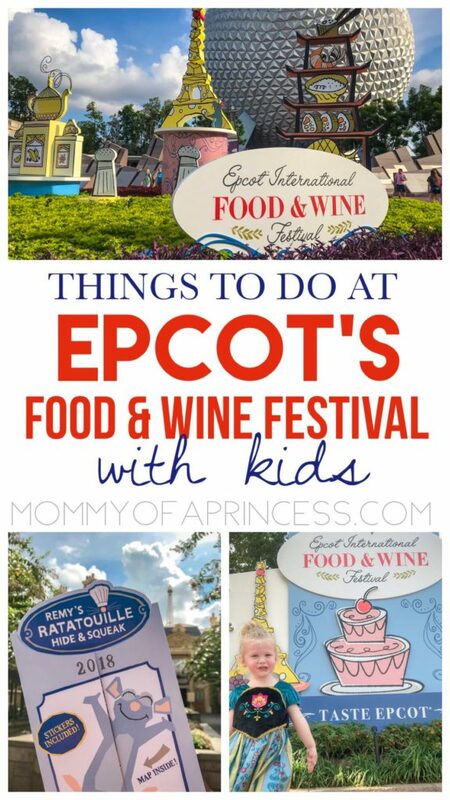 Here are 10 family friendly things to do at the Epcot Food & Wine Festival with kids. Festival Passports are free and available at the Festival Center. Inside each passport is a collection of stickers, one for each country. My kids loved playing with the stickers, whether sticking them to their shirt or onto each country page. Kids love stickers right? Be sure to grab a passport for yourself too so you can map out stops around the World Showcase. 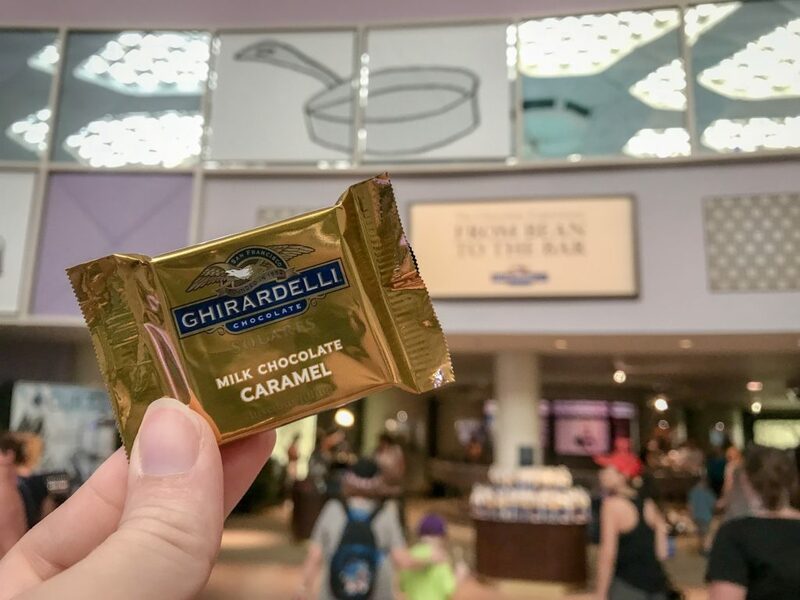 Ghirardelli sponsors magnificent chocolate sculptures on display at the Festival Center. This year’s display includes Coco, Toy Story Land, Black Panther, The Headless Horseman and more. Each sculpture is meticulously detailed. 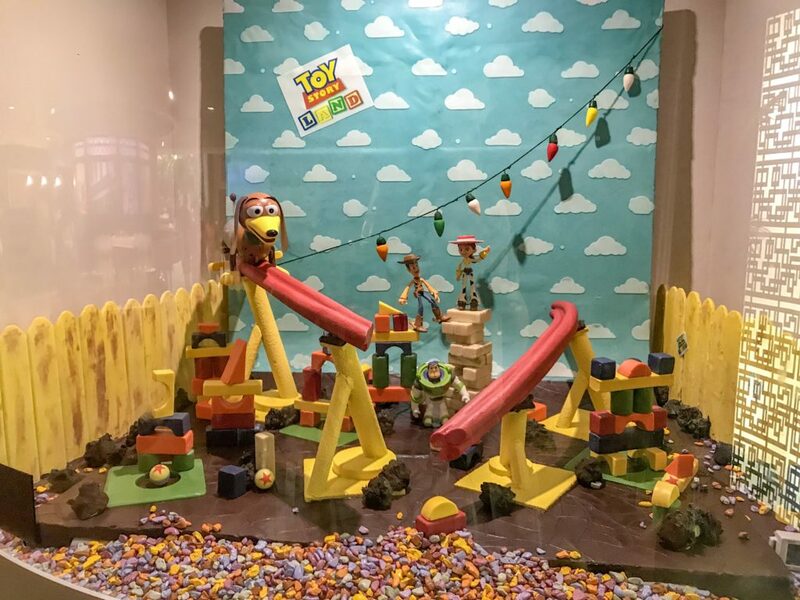 Little kids will love looking at these chocolate masterpieces and tasting their free Ghirardelli chocolate sample too. What little kid doesn’t love a good dance party? 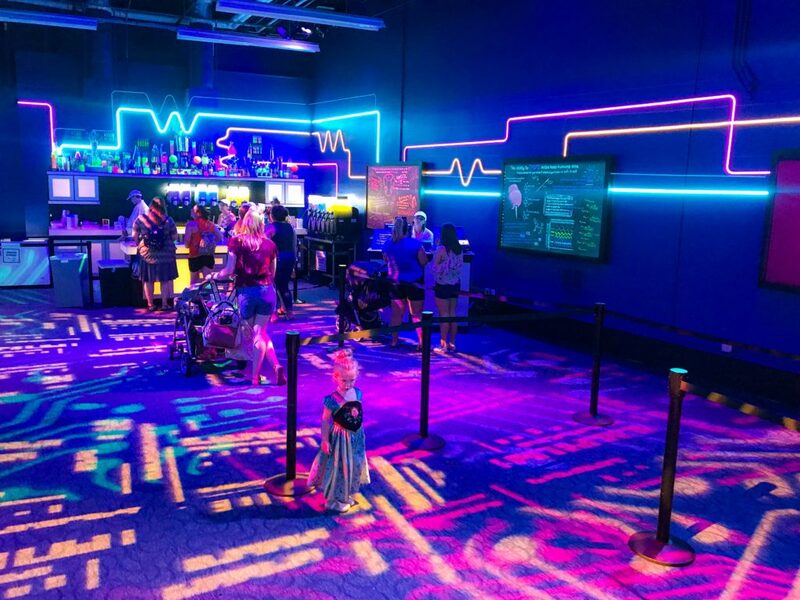 The Disney Du Jour Dance Party is held at Epcot on Friday and Saturday (starting at 5:30 pm) at the Fountain View Stage in Future World. The party includes several fun characters like Remy and Emile from Ratatouille, Nick Wilde and Judy Hopps from Zootopia, Lilo and Stitch, Chip ’n Dale, or Clarabelle Cow and Horace Horsecollar. Kids tend to be much pickier when it comes to what they eat, but that doesn’t mean they won’t like anything at the festival, especially desserts. 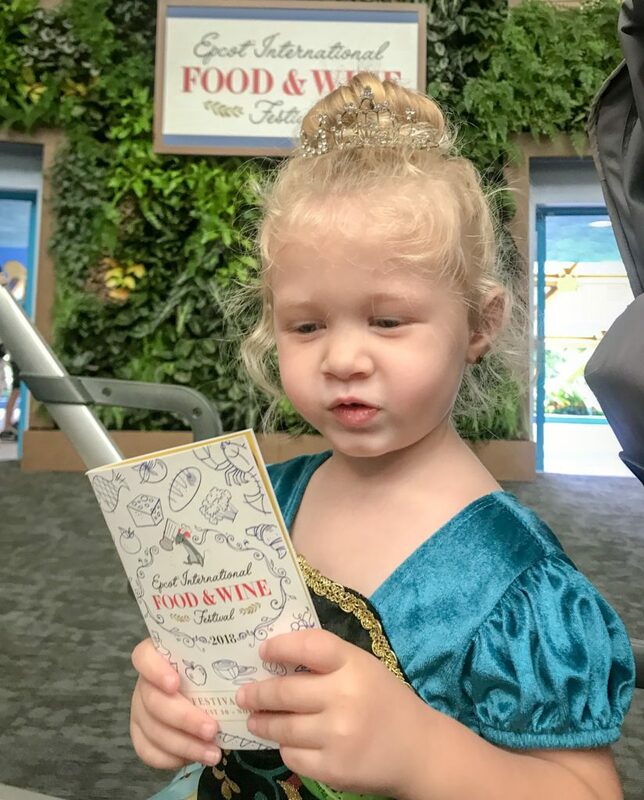 Disney has developed several kid approved menu items when traveling to the 2018 Epcot Food & Wine Festival with kids. This delicious Belgian Waffle (below) with Warm Chocolate Ganache and Whipped Cream from Belgium was a family favorite for us. A few other notable kid friendly items include Loaded Mac ‘n’ Cheese, the Almond Breeze Strawberry Smoothie and the Brazilian Cheese Bread. See a whole list of 2018 menu items. One of my daughter’s favorite festival spots is the Light Lab. 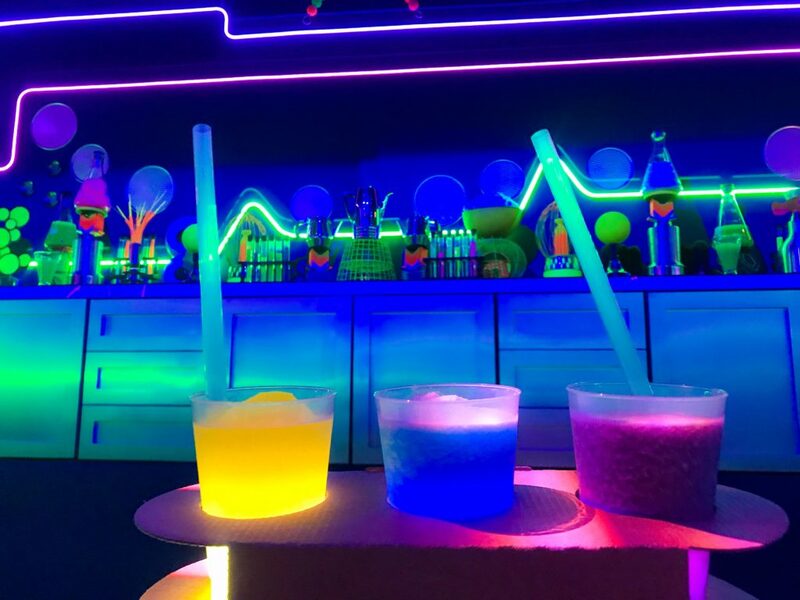 With everything aglow under black lights and non alcoholic glowing slushy drinks, this is the perfect spot to cool off mid day. My 3 year old loved dancing under the cool projections. The Phosphorescent Phlight pictured below ($7) also comes with glowing cubes which were a favorite play thing with my kids for the rest of our trip. The Junior Chef Kitchen allows kids ages 4-10 become real life chefs! Taking place inside the Festival Center on Saturday mornings, budding culinary geniuses can create and eat their delicious dishes. Registration is required (the day before or morning of). Be sure to register early to ensure your child’s spot! 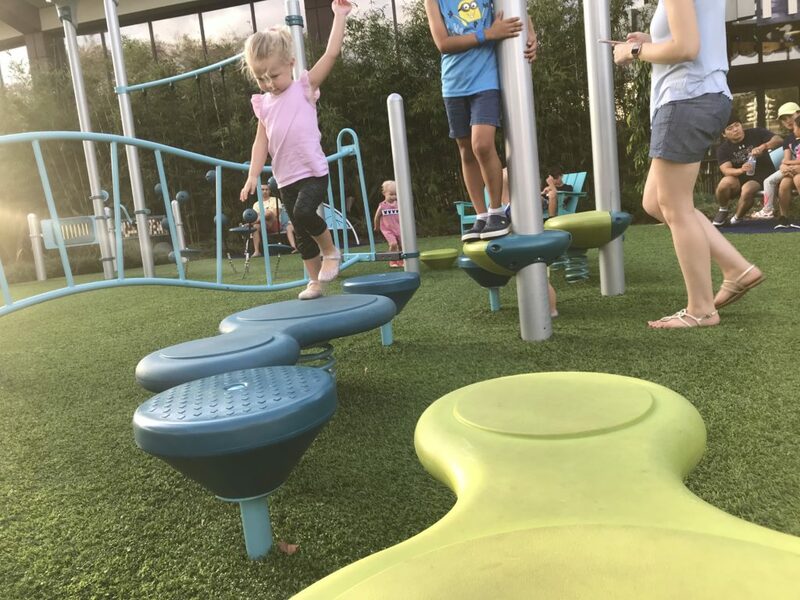 Festivals at Epcot always include fun playgrounds. I love giving my kids opportunities to burn off energy and explore whenever possible. 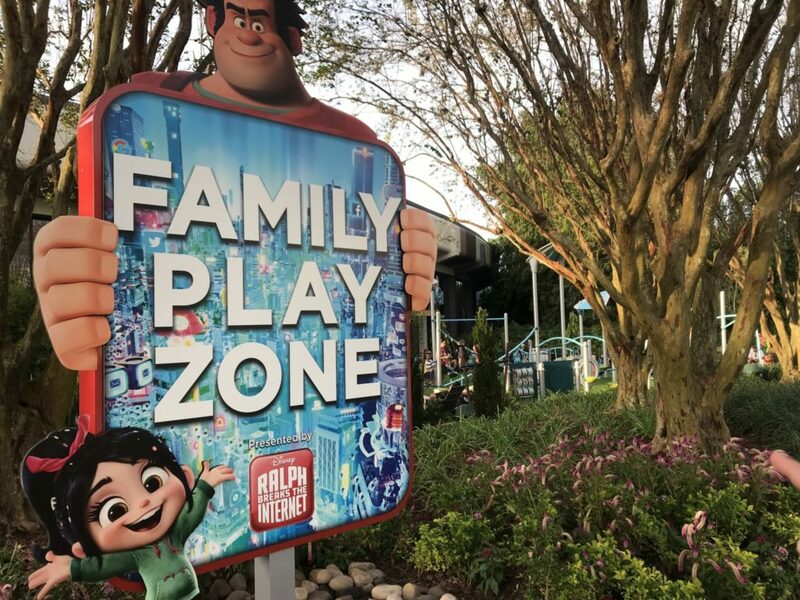 The playground this year is Wreck-It Ralph themed, rumor is, he’ll be available for meet and greets at Epcot later this fall! 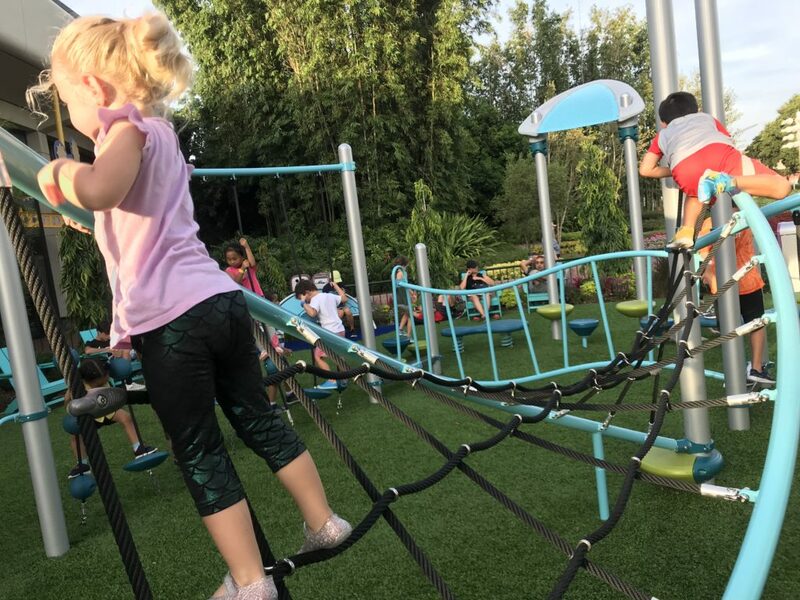 The playground is located behind the Mouse Gear gift shop not far from Test Track. There are a few different areas designated for 2-5 yr olds and 5-12 yr olds. The playground is fully enclosed with only one entrance/exit and lots of seating all around for parents. My kids loved playing here, but be sure to visit before it gets dark as there are not any lights and it closes at dusk. 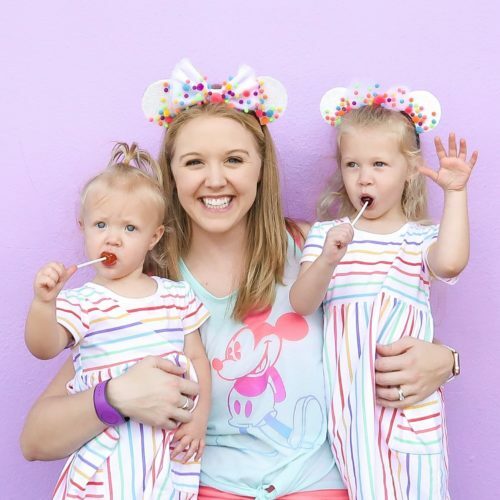 Candy Sushi sounds amazing and this hands-on experience, sponsored by Skittles and Adventures by Disney, let’s your kids roll their own treat with the guidance of a Disney chef. I read that reservations are full for this experience. However, you can always check the day of to see if anyone has cancelled or in case there are any no-shows. 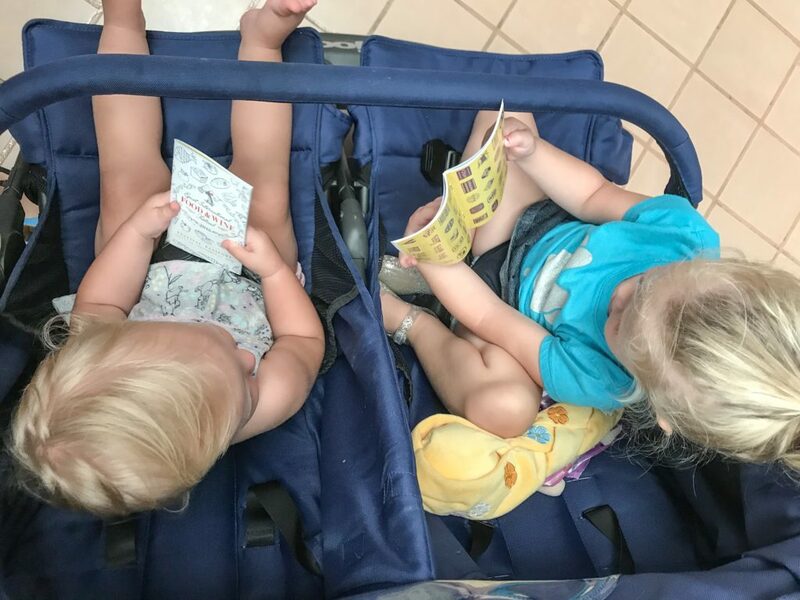 We love scavenger hunts at Epcot! Check out the Easter Egg hunt from the Flower and Garden Festival. 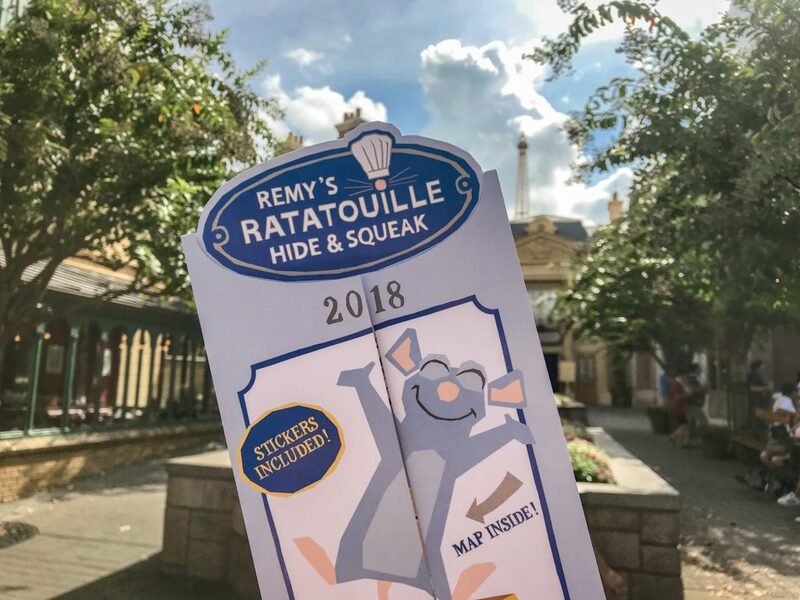 Remy’s Ratatouille Hide n’ Squeak takes you on an adventure around the World Showcase where you have to hunt for Remy in fun hiding places. You can pick up a map at several gift shop locations. 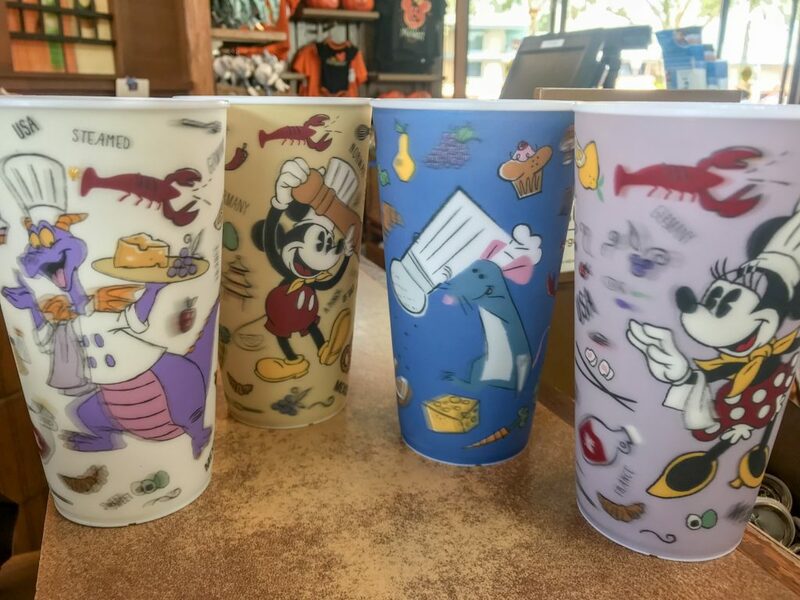 The prize is a Food and Wine Festival cup of your choice. Redeem your prize when you purchase the map to save time from having to wait in line later. 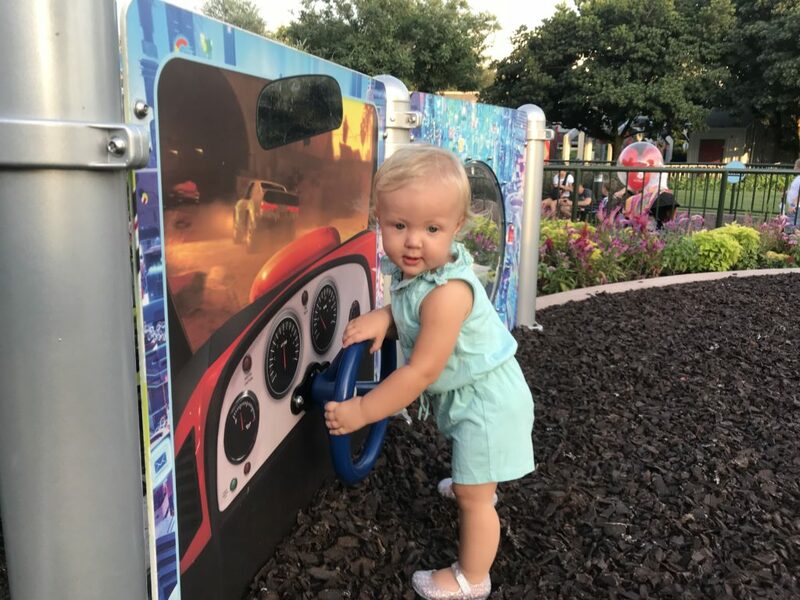 There are lots of kid-friendly attractions as you make your way around the World Showcase. Stop in Mexico to see the Coco exhibit and ride Gran Fiesta Tour Starring The Three Caballeros (which hardly ever has a long wait). In Norway, meet Anna and Elsa or ride Frozen Ever After (look for the shortest wait time during fireworks). Meet Mulan in China or see the incredible acrobatic show. Visit Snow White’s wishing well in Germany and see the miniature train. Take a stroll through the back allies of Morocco and stop in to say hi to Jasmine and Aladdin. We love meeting Aurora and Belle in France and getting Ice Cream Sandwich Macaroons, even though they’re a regular menu item. The garden maze in United Kingdom is lots of fun for little ones. Lastly, seeing the Canadian water fall is a favorite for my girls. 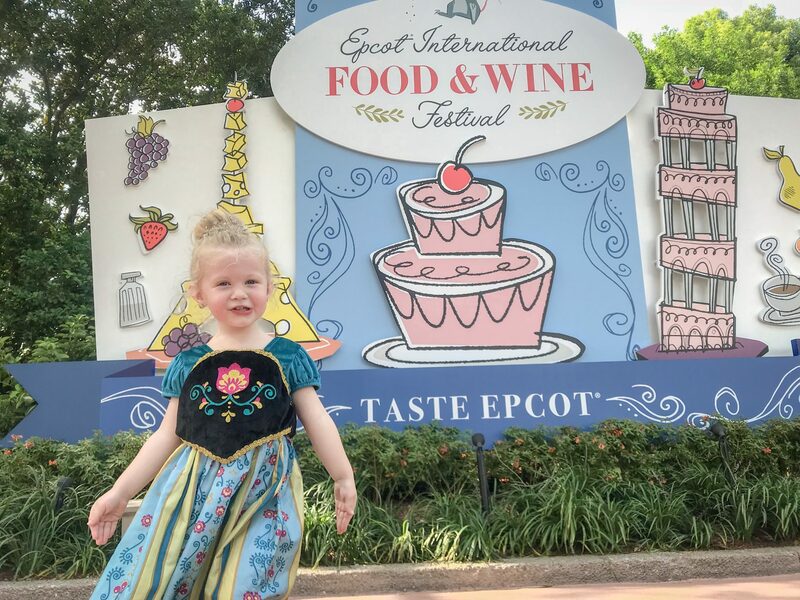 Have you been to the 2018 Epcot Food & Wine Festival with kids? Tell me your family’s favorites things in the comments!